The 73rd Venice International Film Festival just wrapped up in the floating city. The event was held at Venice Lido, from August 31 until September 10, 2016. 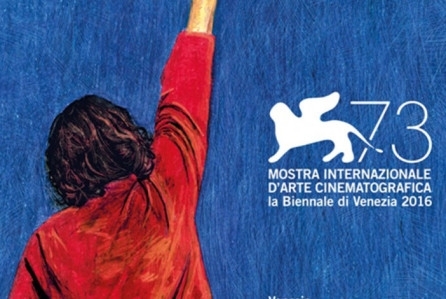 Organized by La Biennale di Venezia and directed by Alberto Barbera, the aim of the festival was to raise awareness and promote international cinema in all its forms: as art, entertainment, and industry; in a spirit of open dialogue and freedom. The big winner this year was “The Woman Who Left,” a revenge drama by Filipino filmmaker Lav Diaz. Shot in black and white and nearly four hours long, the film follows the struggle of a wrongly convicted schoolteacher in the outside world after 30 years in prison. “This is for my country, for the Filipino people; for our struggle and the struggle of humanity,” said Diaz, as he thanked the international jury headed by Sam Mendes. Other winners include Tom Ford, who directed the romantic noir “Nocturnal Animals,” set in the L.A. art scene and criminal underworld of Texas. This is the fashion designer’s second film, who took home the Jury Grand Prize. Emma Stone won best actress for her role as Mia, an aspiring actress and playwright in Damien Chazelle’s musical “La La Land.” While the actress was not present to accept her award, Venice was filled with stars and film industry bigwigs throughout the week. The best actor prize was scooped up by Argentinian actor Oscar Martinez for his role as a Nobel-winning author who returns to his native village in “The Distinguished Citizen (“El Ciudadano Ilustre”). In addition to dozens of movie premiers, the program also included retrospectives and tributes to major figures in the industry, offering a look into the history of cinema. The 73rd edition of the Venice Film Festival was memorable indeed, showcasing a broad range of potential Oscar contenders from the U.S., with more esoteric submissions from all over the globe. The event reinforced the Venice Lido’s status as a prime Oscar launching pad, while bringing together international filmmakers from around the world.